Emubain is our miracle product. It contains Emu oil derived from the Emu bird, a flightless bird native to Australia. Emu Oil is non-toxic, non-irritant skin oil that does not clog pores. Emubain is non-greasy, virtually odorless natural oil absorbed very quickly and is all organic. This oil has been revered for decades by the Aborigines in Australia, who ascribe miraculous healing powers to it. The remarkable attributes of Emu oil are now being welcomed in sports medicines. It can now be found in the training rooms of an escalating number of professional sports teams and fitness centers across America. An estimated 80% of NBA teams have used Emu oil for aid in reducing pain and swelling from injuries, as well as helping to decrease time lost due to injury. tremendous advantage over compounded products. 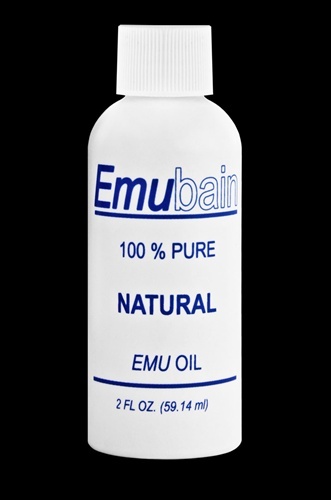 100 % Pure Emu Oil. Nature's purest and finest emu oil. Copyright © www.DreamTan.com. All Rights Reserved.